You Only Live Once is YOLO Watersports’ Motto! 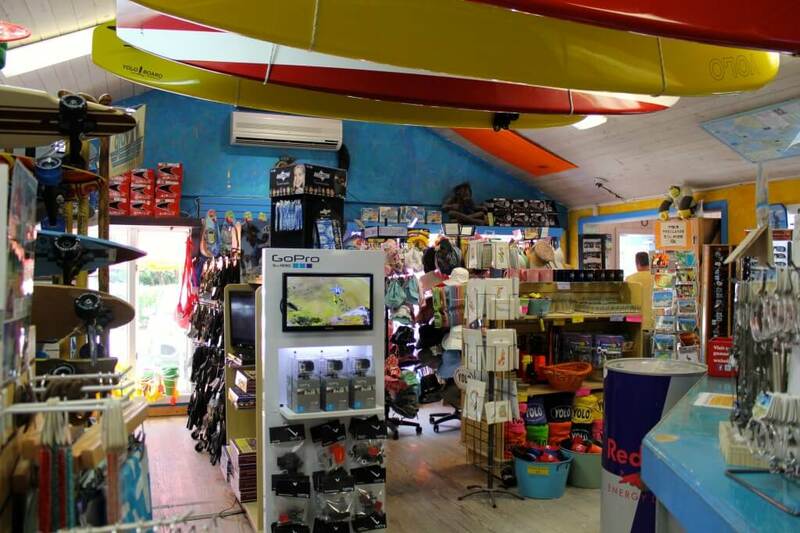 If you are looking for a little fun on Captiva Island, YOLO Watersports has all the sports toys you could possibly need. 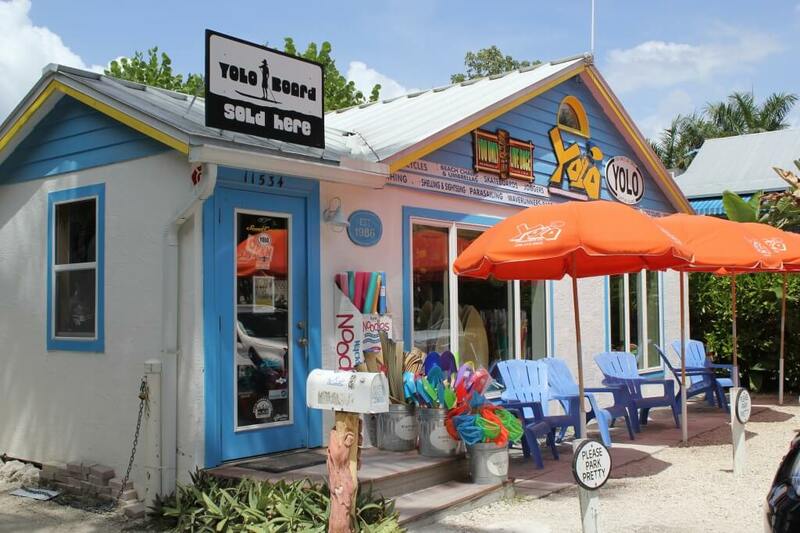 Located on Andy Rosse Lane, the colorful beach shack building is packed with sports equipment, inside and out. Quality, safety and value-for-money seem to be the constant theme in customer feedback comments. YOLO certainly doesn’t skimp when it comes to equipment, whether it’s a bike or a beach chair. 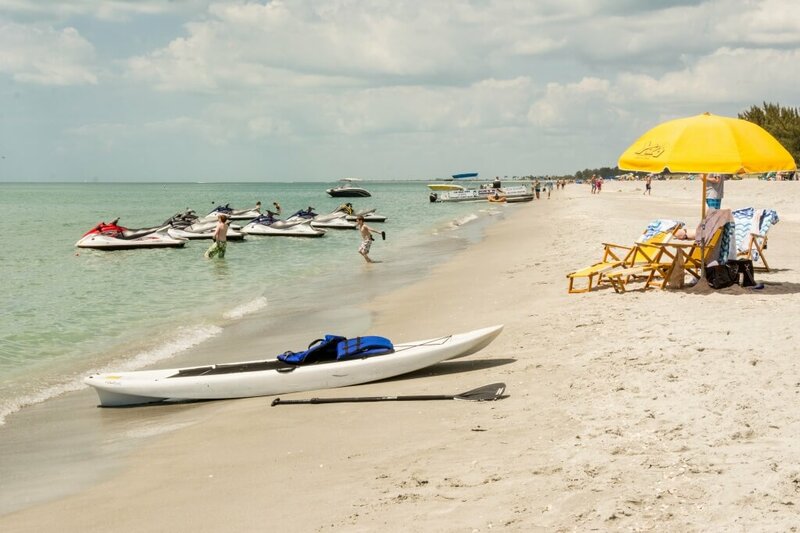 Wave runners, stand-up paddle boards and more are sure to give you a great day out on the clear warm waters that surround Captiva Island. Back on dry land, rent a golf cart, motor scooter or bicycle to get you around island-style. So, get set to have some fun. After all, You Only Live Once, right? YOLO Watersports offers equipment rentals and instruction in a number of fun activities such as parasailing, jet-skiing and fly-boarding. 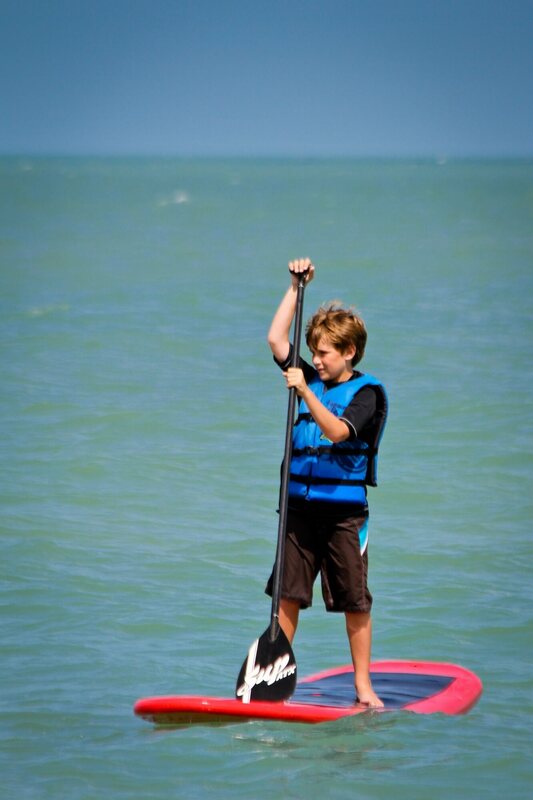 If you want to tone up and enjoy the gorgeous scenery at a more laid-back pace, try stand-up paddleboarding. You can even join one of the yoga paddleboarding classes. 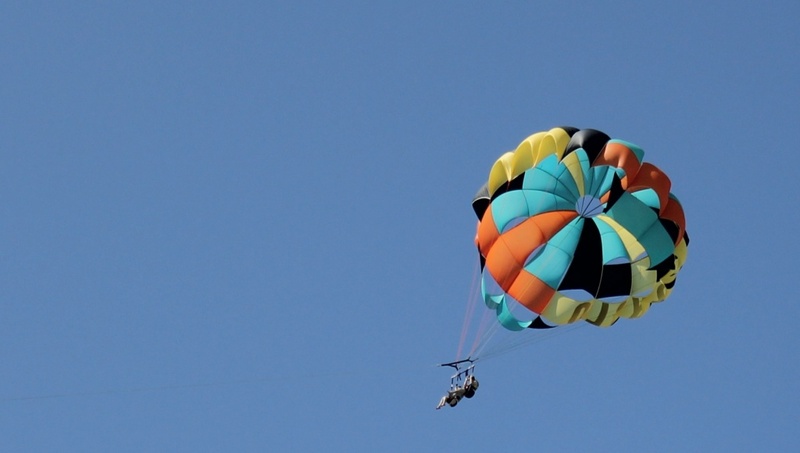 Parasailing gives visitors an unsurpassed view of Captiva and its neighboring islands. 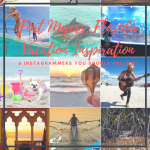 Take a camera for some great photos or buy a souvenir package of action shots taken from the boat as you enjoy your parasailing experience. The premium custom-built winch boat ensures a smooth take-off and landing and can accommodate 1, 2 or 3 passengers on each flight. Hobie sailboats are available and have all the latest safety and stability features, whether you want to sail solo or take the whole family. Banana boat rides are another popular group activity. Waveruuners are an exciting way to enjoy the extensive riding area along the coast and up to 2 miles offshore. 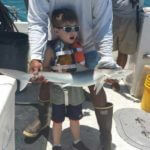 Look out for dolphins, manatees, turtles and fish as you zip across the waves. 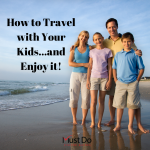 Being on vacation means you can let go of “sensible” and embrace “wacky and unique”. The sunny climate makes it possible to use some more unorthodox means of transport on the roads and cycle trails. 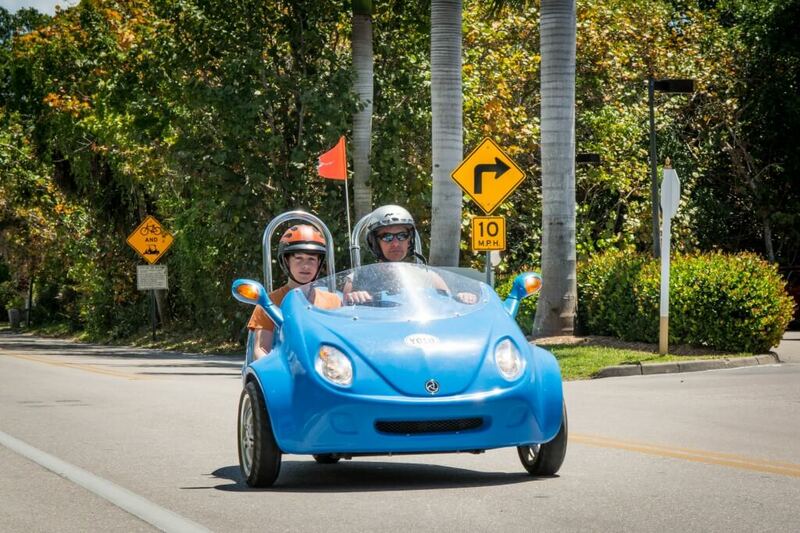 Scoot Coupes are the wackiest way to get around. These fun three-wheeler vehicles are open-topped and tailor-made for the South Florida lifestyle. They seat two adults and are easy to drive using a motorcycle handlebar for steering, rather than a boring steering wheel. They create a more moped-like experience, but with disc brakes, roll bars and safety belts, just in case. With a twist of the handlebar you’re off – no stick shift or clutch to worry about. Although Scoot Coupes reach up to 55mph, remember the Captiva speed limit is between 15 and 35 mph. Stopping is easy, by squeezing the handlebar brake lever (just like a bicycle) to apply both front and rear brakes simultaneously. 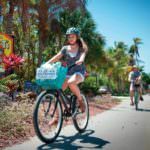 YOLO Watersports also have bicycles, scooters, golf carts and even skateboards to get you around – after all, Captiva is only 5 miles long! Down on the beach you may need beach chairs, umbrellas and surfboards which are all available along with a wagon to haul it to and from the beach. 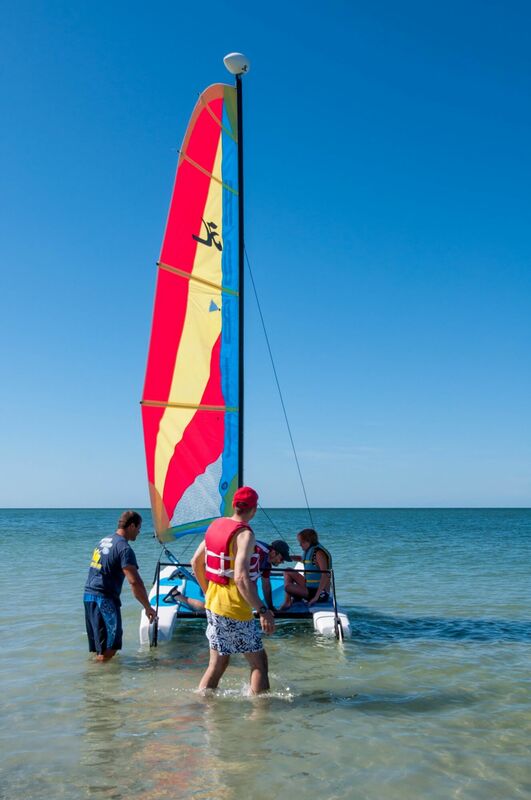 Whatever you need for your Captiva beach vacation, YOLO Watersports should be your first stop. As you now know, You Only Live Once! 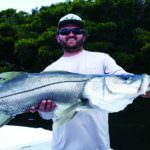 Save on your YOLO Watersports rental with a coupon from MustDo.com – click here!